Philippine Military Academy (PMA) alumnus Dan Jimenez was quick to share his thoughts on greatest pound for pound professional boxer and Senator Manny Pacquaio’s recent win in his fight against Lucas Matthysse. In his post, Jimenez drew attention to the hate that Pacquaio got even amidst his win. That hatred was mainly rooted on Pacquaio’s performance as a senator in the Philippines. Jimenez starts by pointing out that Pacquaio has contributed a lot to the country by his boxing career. His wins have proud honor and pride to the Philippines, he says. But more than that, he says, that Pacquaio’s help to those who are marginalized and oppressed through the charity work he does is perhaps his biggest contribution. He calls Pacquiao a “national treasure”, one who rose up from poverty by working hard and succeeding in what he does. After he got the fame and success he wanted, he made sure to give it back to the people who supported him, and the people who needed it most. Unfortunate, Jimenez says, that politics has led to destroying the name of Pacquiao. He even recounts how critics have told Pacquiao to just stick to boxing instead of indulging himself in politics. However, Jimenez says that all these negative comments against Pacquiao is not important, as there are still people who believe in him and sees his excellence. He adds that Pacquiao is one of a kind and there would not be any like him for generations to come. But what is important, is that there are people who are still proud of Pacquiao. “He will one day, fade away and generations after may never see another one like him. Still, those who knew him will always remember and appreciate what he did for the Filipino, for the ordinary human being,” he said. A splinter in one's toe, shoots pain all the way to the brain. Not only is it bothersome, it hurts. Much like the damning criticisms hurled against Paquiao because he praised Duterte right after his victory. The hate openly expressed in social media and the subtle "left hooks" by the traditional press make a true Filipino question: are we as a people really damned to be divided? 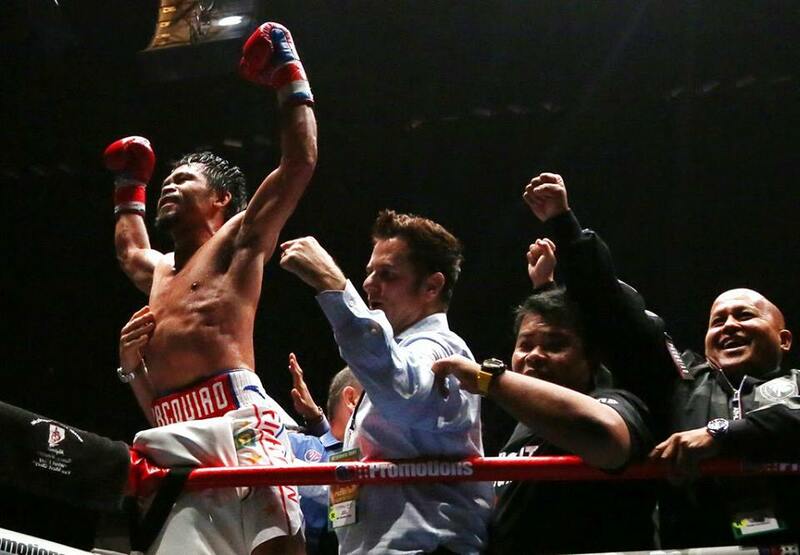 In the world stage of sports, no Filipino has raised the country higher than Pacquiao. With 11 titles in 8 weight divisions, no boxer will ever come close. No body. More than that, no Filipino prizefighter has helped more of his "kababayans" with money from his own pocket. He has built houses, schools and a hospital for those what the opposition romantically calls "laylayan" of society. Those who are only of use during elections but are quickly forgotten by the victors who promised heaven on earth. The marginalized are not only Pacquaio's constituents, they are his genuine concern. He was an unschooled runaway driven by poverty to boxing. He started fighting professionally even before it was legal for him to do so because he must eat and survive. He burst into the world stage like a whirlwind. Fast. Furious. Unfazed. Without fear. He was cheered by foreigners, even by his vanquished opponents. 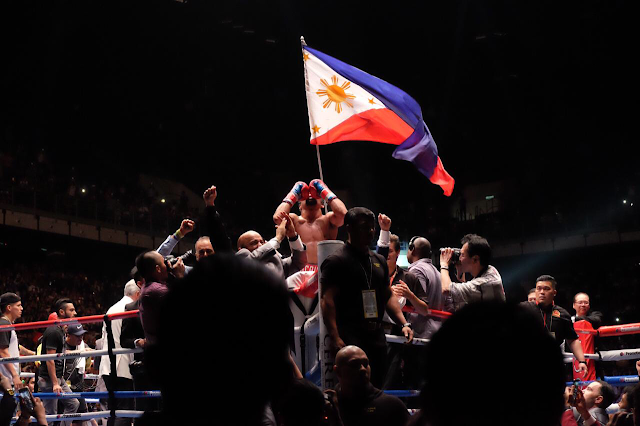 For Filipinos the world over, it was an honor to be identified as Pacquiao's compatriot. It felt good. Politics has a way of demonizing even the most well-intentioned. Philippine politics has fine tuned it to a science, no one is immune. Even a national treasure like Pacquaio. It was a weekend of champions. France won the World Cup, Djokovic won Wimbledon, Pacquiao won the WBA Welterweight Championship belt. Only Pacquiao was pilloried for his political pronouncement. Only Pacquiao was belittled for what he believes. Just be a boxer, one critic said. A comment that summarized the elitist attitude against one who will never belong no matter how rich or exalted Pacquiao becomes. He will always be the unschooled runaway driven by poverty to boxing. Just a boxer. As the weekend fades and the grind turns to survival and living, the applause fades and the accolades get muted. Athletes put away their championships and prepare for the next tournament, the next fight. True Filipinos will look forward to when their champion will fight again while those with heartfelt concerns will wish he retires now. No dragons are left to slay for one who has done more than his share. Still, the voices of those who hate Pacquiao's politics will not be subdued nor be tempered. As a Duterte supporter, he, too, must be destroyed. Being a national treasure notwithstanding. 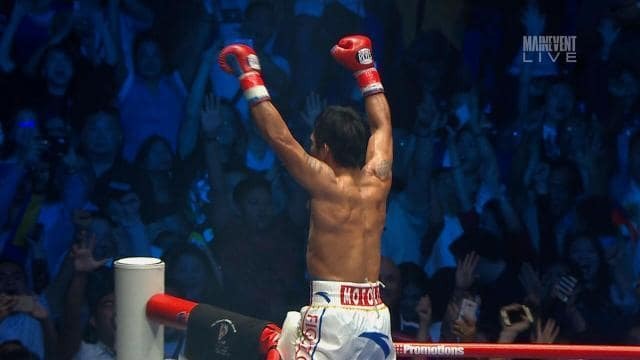 There are more appreciation expressed by those who see Pacquiao as a personification of excellence, as the embodiment of triumph against all odds, as an inspiration bar none. He has accomplished what is not possible, done what can not be done. To the downtrodden, those who were born without hope nor the wherewithal to better themselves, he will remain the dream that can come true. That yes, nothing is impossible.